Yes, each time you’ve turned around this year, there has been more big news in the recruiting field. If you didn’t get whiplash from the news we broke in May that SimplyHired was being acquired, or the surprise announcement about Microsoft and LinkedIn, the latest neck-strainer is that Monster is being acquired by the Dutch firm Randstad Holding. My colleague John Zappe, who has covered the company for years, said in 2011 Monster was a “takeover target” and noted that there’d been 20 or so rumors of a sale. Then, he said the company’s market cap was about a billion dollars, after decreasing by billions. 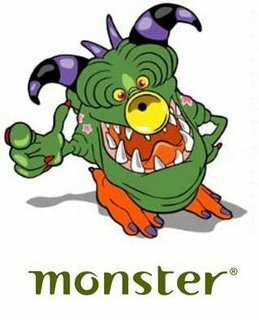 Randstad, which has about 30,000 employees in 39 countries, will pay $429 million for Monster now. Randstad was once known by many as a staffing or temp firm but has moved into areas like recruitment process outsourcing and sourcing. It has hired many well-known names in the talent field in recent years, like Jason Roberts and Jim Stroud. Monster will operate as a separate entity and keep its name. Randstad says the benefits to it include a) “… new and innovative capabilities that deliver greater value to job seekers and employers by bringing labor supply and demand closer together”; b) “services to offer both clients and candidates tools for increased efficiency and engagement, connecting more people to more jobs” and c) increased earnings per share for Randstad. Monster is being bought for about a 23 percent premium to its closing stock price on August 8. The deal is expected to be completed in the fourth quarter of this year. Randstad says its “balance sheet is expected to remain robust after the closing of the recent string of acquisitions” (like Ausy, Careo Group, and twago). Monster announced just this summer it was buying Jobr, and over the years has purchased TalentBin, among others.